The eagerly anticipated 24 Hour Fitness at Eastridge Mall is finally open. 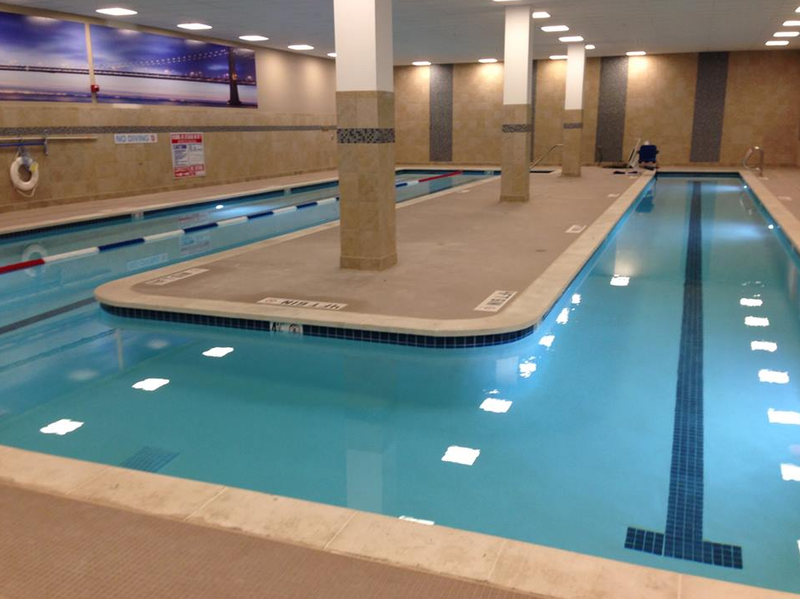 The huge 38,000 SQFT gym includes stat-of-the-art equipment, a U-shaped indoor pool, a sauna, and a steam room. Come join the Grand Opening Celebration is today from 9am to 2pm and you can take a tour, participate in exercise class demonstrations, or get a personal health and fitness consultation. Additional details are in the press release below. SAN JOSE, CA – March 19, 2015 – In the shadow of its San Ramon corporate headquarters, Eastridge Center will become home to a new 24 Hour Fitness club which opens to the public later this month, in the heart of the newly remodeled section of the lifestyle shopping mall. The community is invited to the official Grand Opening Celebration on Saturday, March 28, 2015, from 9:00 a.m. – 2:00 p.m., 2200 Eastridge Loop, Suite 1428, San Jose. The new club’s knowledgeable staff springs into action on opening day sharing the benefits of functional fitness for prospective members—taking special note of the “Live, Work & Play,” message that defines the city of San Jose. Early birds will arrive first, eager to break in the new club’s state-of-the-art equipment and experience its amenities before the Grand Opening festivities officially begin. During the Grand Opening itself, kids and families can explore the club and activities that enhance the ability to “live, work and play.” Club tours, group exercise class demonstrations, including Zumba®, are scheduled throughout the day. Guests are also encouraged to make an appointment for a personal health and fitness consultation—an enlightening and valuable ingredient to charting a successful fitness journey.